We are a full service studio, offering top quality custom mounts to every customer. Skull cleaning services and rug services are also available.
. Here are just a few. Best of Category Masters Div. Best Deer Award. Cabelas Store show. 1st place whitetail at Harrisburg Sport Show. 2cnd place at National show 2007. Many other award winning mounts. I have always had a love for wildlife. My dad started me out hunting at a young age. I can remember as a little kid when my dad mounted a few animals. He learned everthing out of a book and didn't do to bad for the time. This is probably where I got my interest in taxidermy. I mounted my first deer from studying a book. Gary Bruch has also helped me along the way. I spent some time getting fish training from him and my quality has gone way up! I continue to learn every day by recieving tips from other taxidermists, magazines, seminars, and the Pa Taxidermist Association. GREAT ORGANIZATION CHECK IT OUT. 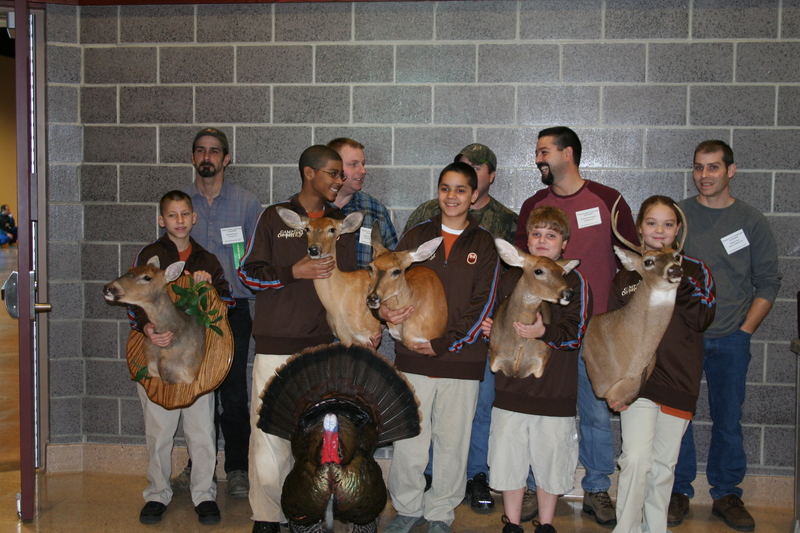 WE MOUNTED THESE DEER FOR FREE FOR THESE KIDS. CALL ME TO HELP.